Building Industry Association (BIA) Awards | Promotional Incentives, Inc.
For twenty-two years, Promotional Incentives has been selected to provide the Lee BIA’s most prestigious awards, Parade of Homes©, Pinnacle and Summit Awards. 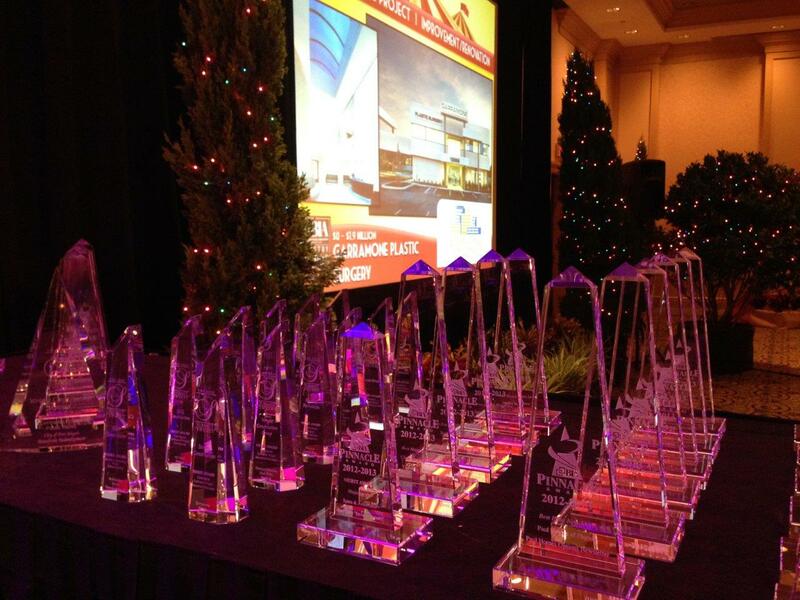 As we prepared for the 2013 BIA Industry Awards, I reflected on where it all began. 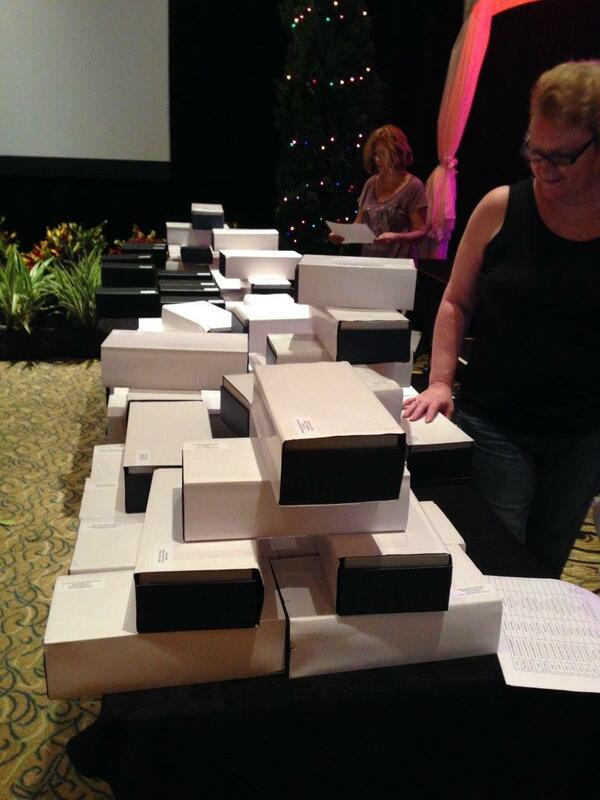 In the early days of Promotional Incentives, we had the fragile awards shipped to us, whereby we opened and inspected each one, and then delivered them to the hotel, opened up the boxes again, set them on the tables in the order of presentation. With a couple of years under our belt, and very few broken or incorrect, we realized it would be much more efficient to ship directly to the hotel. I love the science to the set-up, and marvel at the number of hands involved in every award as we oversee the process from start to finish. From the manufacturer who makes the marble, crystal or stone creation, to the people preparing the artwork, to those engraving individual personalizations, to the packing department that wraps each one in a protective, often custom-molded gift box, to the shipping company who delivers the boxes to the receiving department at the venue, and the hotel staff who deliver the cartons into the ballroom, where the Promotional Incentives worker bees carefully unwrap each one, and sets them up in proper order. And to ensure safe delivery to its final resting spot, Jack and I help individually box the winners’ awards. The day of the event, the process is a series of planned and coordinated steps. Open the master cartons and remove the individual award boxes. Line up all the boxes so we can see the names and put them in order. 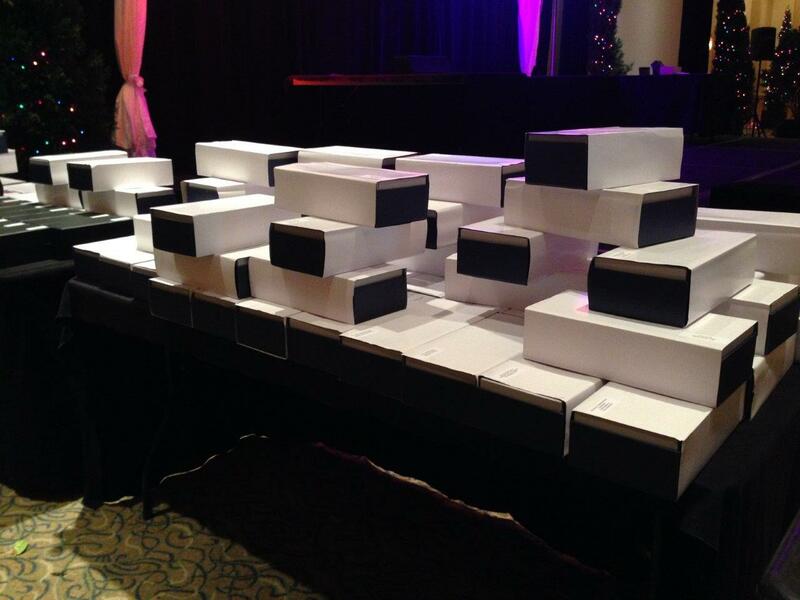 Take the awards out of their protective box and set them up on the skirted table. Remember the game Concentration? It’s like that only more physical as we go up and down the stage stairs dozens of times. Once we get through the list, which has varied from five for the first Parade of Homes in 1992, to 110 for the Pinnacle and Summit programs in 2013, we realign the awards for maximum symmetry, polish off any fingerprints, and pray that no one bumps the tables on stage. Then, we go home to clean up and change clothes to attend the event as a committee member, sponsor, help hand out the awards, and in recent years, we’ve even been on stage as a award winners ourselves (yeah, it’s tough to keep that one secret). 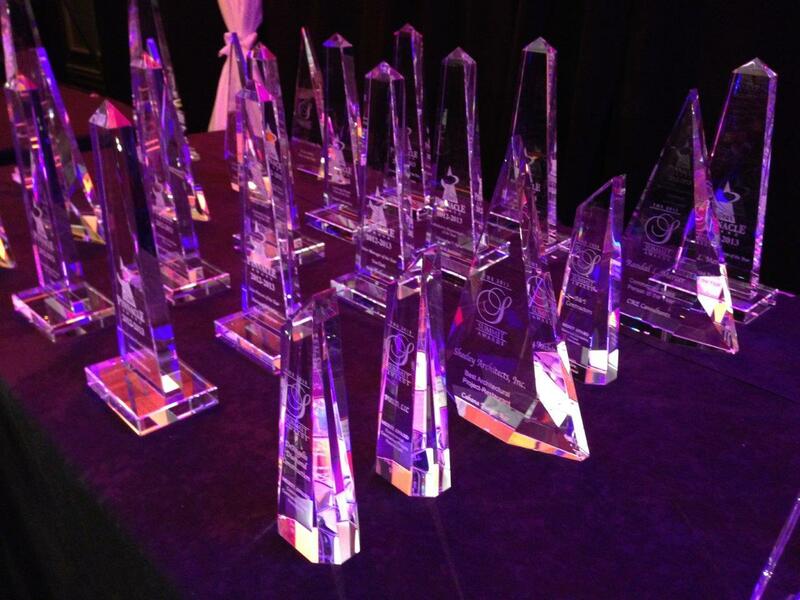 It’s an honor to be trusted with the knowledge of the winners in our awards programs. Throughout the weeks before the event, every effort is made to ensure the awards portion of the evening goes smoothly. It’s gratifying when each recipient goes home feeling like a winner with a beautiful award to remind them of their accomplishment for years to come. 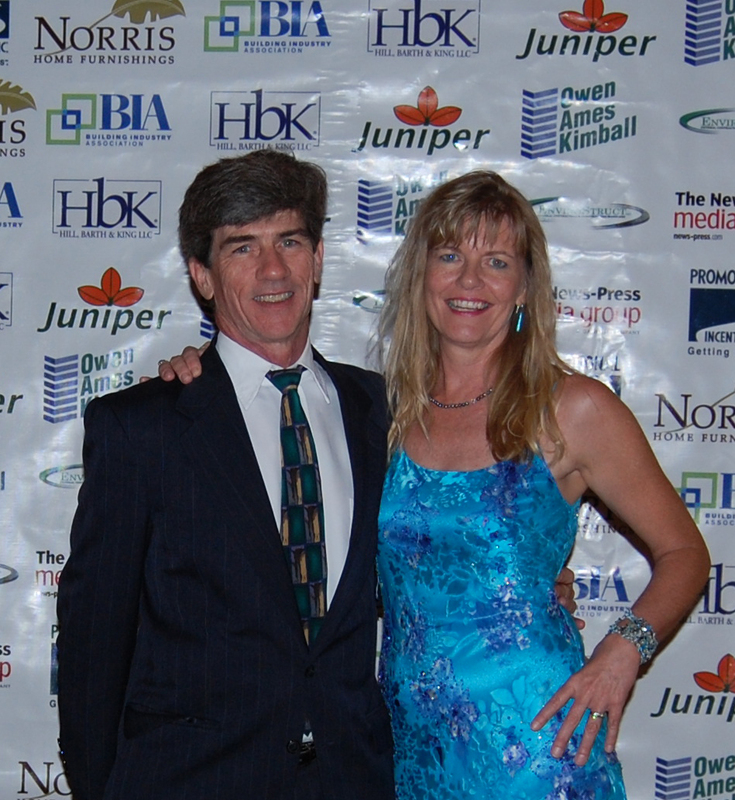 Thank you for being such an incredible supporter of the BIA and the Industry. We value our partnership with you and look forward to s bright future.